The main purpose of a web design is to facilitate the user experience in order to convey the marketing message in the most relevant way. It is therefore important that the design of the web interface takes into account usability and accessibility, hence the importance of working on the aesthetics, ergonomics and user experience for optimal navigation on Internet users. 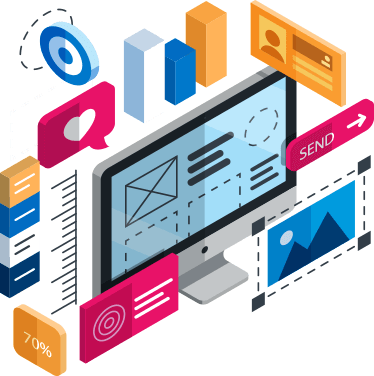 Eminence, your Digital Marketing agency in Dubai, specializing in web design, develops web platforms for you that provide real ease of navigation to your customers. In order to optimize your conversion rate and your sales, it is essential to ensure that the user never leaves your site without finding what they seek. Therefore, the user experience (UX) is paramount in the design of your website and can help you in your quest for acquiring new customers. Our strategists, our experts in website development and web designers implement our best UX techniques that will help you in acquiring new customers. UX, what is it exactly? The UX or user experience is an essential part that covers how a website or application is perceived by its users based on ergonomics, quality of navigation or content. True epicenter of marketing concerns, the UX is designed to increase the conversion rate, in this case the transition to the act of purchase, provided the service has a commercial purpose. The UX is a central communication tool that addresses all the concerns of users: a major challenge, especially for brands that care about the overall feel of their products. 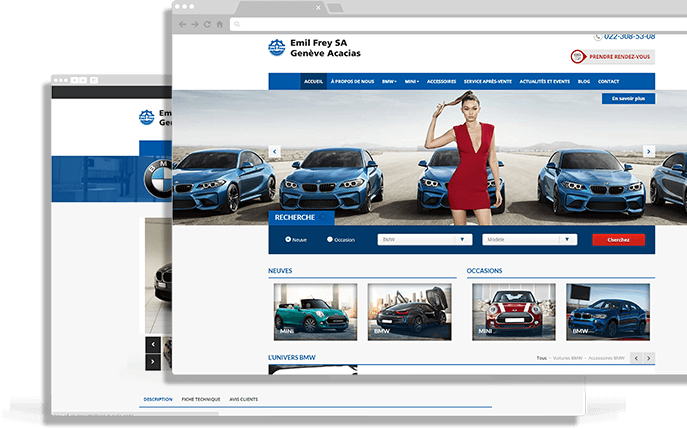 In short, all brands need to better think about the design of their websites so that the user is confident and finds the information to arouse in him a desire to interact with the site. Eminence, Web Design agency in Dubai, allow you to integrate the user experience (UX) in your digital strategy to better identify user needs and provide effective solutions to their problems and their expectations. Since the explosion in smartphones and tablets use, the display resolutions became numerous and poor adaptation of a website can sometimes make the user experience difficult. The responsive design is a set of development and graphic design techniques which help you create a website that automatically adapts depending on the space available on the screen. Whether it’s a smartphones, tablets, television screen or desktop computer monitors, the goal of this technique is to design navigation modes for each media. 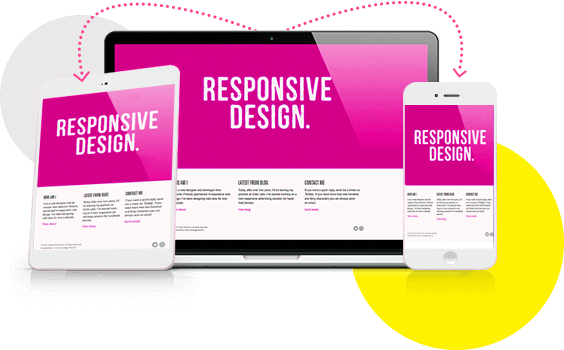 The responsive design is a strategic solution allowing websites a more enhanced reactivity that adapts to different screen resolutions available. Brands that aim to attract traffic must have a website that can adapt in an instant to the screen size of the navigation device used for the check, whether a computer desktop, tablet, smartphone or connected TV. 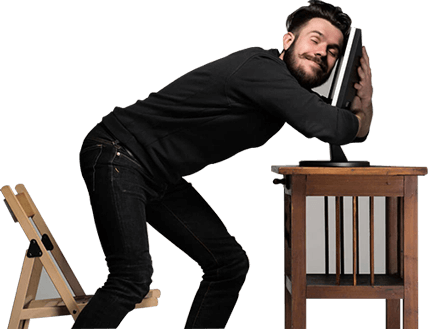 Certainly, Responsive Design presents itself as a true ergonomic challenge for designers, but it remains an effective solution to offer a user experience that is consistent with the intended use. In sum, Responsive Design seems to be the essential solution for we sites that are able to adapt to new connection modalities, especially as users connect more and more often from their phone or tablet. Eminence, your digital marketing agency in Dubai, specializes in the development of website integrated responsive web design technology. Our agency offers all its expertise to assist you in designing UX compatible web sites combining websites and responsive design to make sure you have a web design that is effective in generating conversions and revenue for your brand.